The Elabo with retractable top filling solution and innovative childproof lock system can perfectly fit the Predator 228. do you like it? All the parts of Elabo can be detached and reassembled, bringing much convenience in cleaning it. Optional Heads with Wonderful Taste, Both of the equipped heads will provide you large vapor and good flavor. And the design of no threads coil system makes it possible for users to replace a used coils faster and without getting e-liquid on their hands. Huge Vapor Clouds with Bottom Airflow Control. 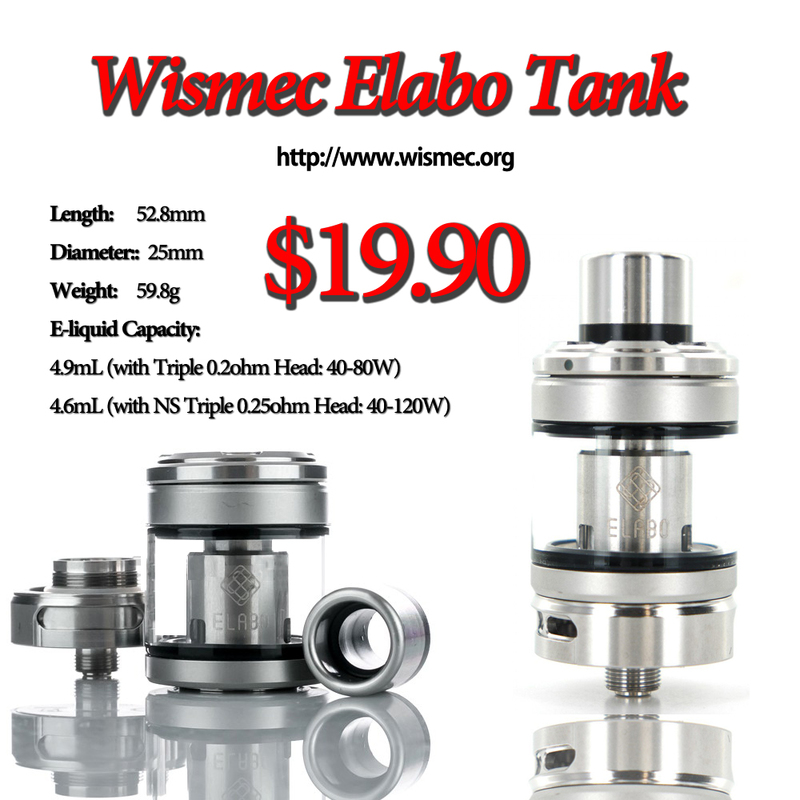 If you want to know more informations about Wismec Elabo tanks, you can visit http://www.wismec.org, won't let you down.